Doris A. (West) Farrar, 87, of Harwinton, Ct. also of Torrington, Ct and Richford, Vt. passed away Tuesday November 20, 2018 at Charlotte Hungerford Hospital in Torrington. She was predeceased by her beloved husband Raymond D. Farrar. Doris was born June 28, 1931, in Johnson Vt. daughter of the late Charles and Alberta (Sheltra) West. 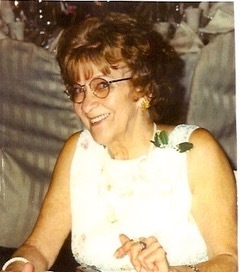 She was a manager at Bradlees Department Store in Torrington, Ct. retiring after 23 yrs. Doris enjoyed her vacations in VT, knitting, crocheting, gardening and was a avid UCONN girls basketball and Yankees fan. She also sang with the Harwintones as well as being a member with the Harwinton and Torrington Senior Center. Doris is survived by four daughters, Debra Steina, Diane Schroeder (Howard), Kathy Cote (Michael) and Sherry Farrar; 9 grandchildren; 15 great grandchildren and 1 gr. great grandchild, and numerous nieces and nephews. She was preceded in death by 8 siblings, Norma Mayhew, Ronald West, Shirley Tychie, Beverly Little, Lynwood West, Lorraine Dallaire, Juanita Hunter and Charles West Jr.